What’s the car2go Home Area? Think of it as our operating area, where our cars float freely around Denver. Here you can grab any available car2go and leave it in any public, non-metered street parking space or dedicated car2go-only spots when you're done. The best part is? Parking costs you nothing. Thinking of a longer trip outside the Home Area? That's cool with us as long as you keep a few things in mind. Trips may only start and end within the same Home Area. You may travel up to a maximum of 200 miles outside the Home Area. Trips may not exceed 24 hours unless you've selected a package of a longer duration. Other terms and conditions apply. See the full car2go Home Area in Denver here. Need to get to the airport? You can't end a rental at the Denver International Airport, but there great ways to get there without having to hitch a ride or pay for parking. 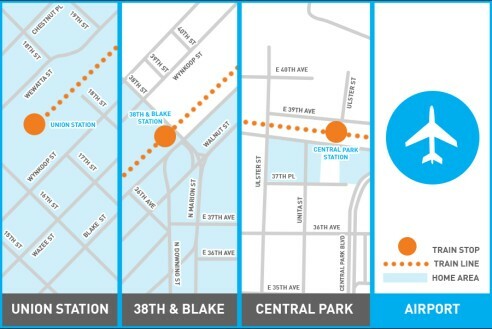 The brand new, super quick commuter rail just launched in 2016. car2go Members can now park within the Home Area and at Union station, or the 38th and Blake station Park and Ride to reach the A line which will take you straight to the airport. car2go offers you ultimate parking freedom. 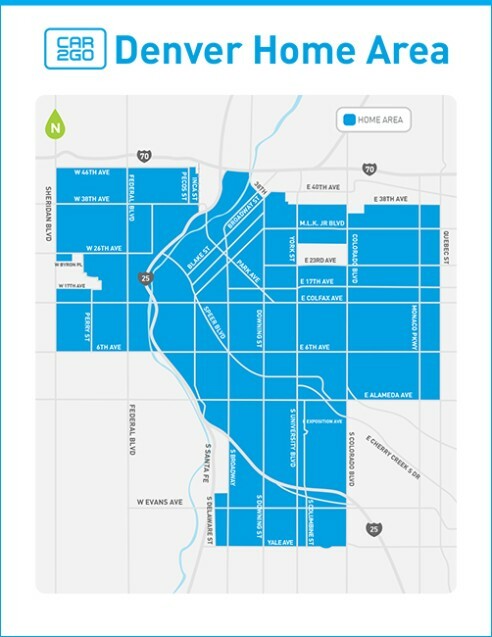 To end your rental, simply park your car2go on public, on-street parking within the Denver Home Area. The best part? It costs you nothing. Parking rules: It's pretty simple: as long as you end your trip in public, on-street parking, you're good to leave the car and go. Just be sure to check our parking rules below. VIP parking: certain parking spots in Denver are reserved just for car2go members. Look for blue Ps on the app- the number indicates available cars (lighter blue Ps means there are no available cars there). Tap the P to view the number of available parking spots. Tip: Save your change – we cover the cost of meters! Unrestricted or 2 hours or greater street metered spaces within the Home Area. All Denver City-owned Residential street spaces within the Home Area. Unrestricted on-street or 2 hours or more non-metered spaces within the Home Area. Stopover mode lets you run inside for an errand without giving up the car. Tip: If during a stopover you park somewhere that requires payment, the cost is on you. Steer clear of illegal parking spots or you may be held responsible for a parking ticket, vehicle relocation or worse - the dreaded tow. 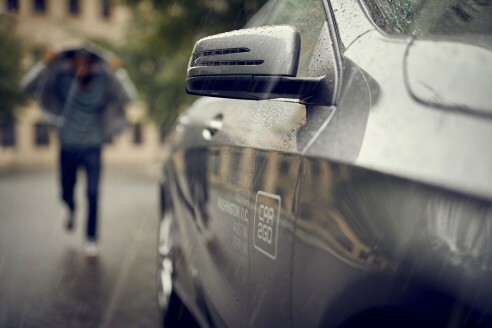 Tip: When ending your car2go trip, a good rule of thumb is to ask yourself if you would leave your personal car there. And remember– trips can only be ended/completed within the Home Area. We’re not above the law, be sure to take a look at your city’s parking rules here.